Today we met Caroline, an inspirational volunteer carer at the Chilomoni Resource Centre who goes above and beyond to encourage mothers to communicate and interact effectively with their disabled children. She introduced us to a beautiful 3-year old boy called Siphol who had developed blindness in his left eye but whose mother was in denial of his condition and refused to take him to hospital for treatment. Much of what she and members of the group FEDOMA, the Federation of Disabled Organisations in Malawi, we also met are doing is trying to challenge the cultural perception of parenting and education of people with disabilities. Tessa was clearly touched by the situation and related it back to her role in setting up the UK’s SureStart programme. Innovation in the form of introducing a structured plan of play and learning that maximises stimulation and interaction, bringing carers into the frame, and applying the learning from this Sightsavers project to develop materials for other teachers and carers. The resounding learning of the day is that there is a significant gap between policy and implementation. 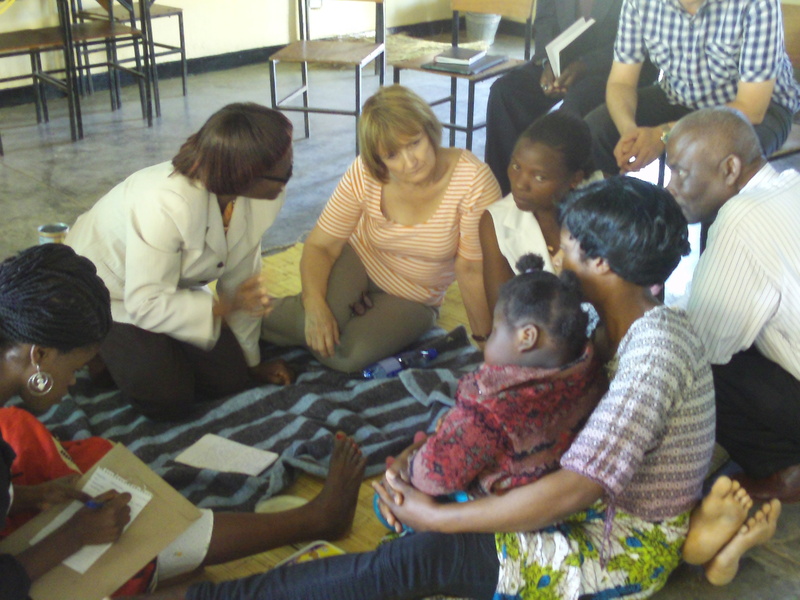 I’ve been surprised at the level of attention paid to early childhood development (ECD) in Malawi. When I turned on the radio today there was a civil society funded advert for ECD. They have a National Action Plan, and even a phrase in the local chickewa language: mmera mpoyamba. However, the sector relies heavily on community volunteers and local funding, and only recently the central ECD budget was cut by about 25%. The same situation is true of the experience of disabled people of all ages. Much of the reason for this gap is that disability and education for children with disability is clearly not a priority. Ivan observed that having separate ministry for disabilities that is not integrated with the Ministry of Education or others exacerbates this problem, particularly for campaigners who have to make representations. The danger remains that these issues will be siphoned off without adequate leadership and coordination within the sector. The same is true for the existing MDG framework on these issues. It is silent on disability and an integrated approach to early childhood development. We have tried to challenge this with Labour’s Post 2015 Vision, calling for indicators that measure success by progress amongst the most marginalised groups, and we are extremely grateful to Sightsavers for enabling us to engage with these groups on these issues. It is clear that our campaign to have integrated approach to ECD at heart of the any new Post 2015 framework must also include explicit reference to disabled children. In other news, Tony and Cherie Blair arrived in town today for a meeting with President Banda. Unfortunately for us they arrived only a few hours after we had departed for Lilongwe, despite our numerous attempts to rearrange both them and us! Unusually though I did have a chance to visit (and be accosted) at the local curio market and have come away from Blantyre armed with presents, including a questionable and undoubtedly overpriced pair of hand carved giraffes.